Socks are the most important detail that gentlemen ignore most. People sometimes think socks would be hidden by pants, so they don’t put a lot of effort on it. However, there’s not a single one can be omitted if you have a good taste in wearing suits. Fine socks and proper matching with pants and shoes will award bonus points in your overall looking. Today we are pleased to introduce you a luxurious and superior quality brand: Marcoliani Milano. Marcoliani has been manufacturing luxury socks since the 1950s, and today is still a leading standard of Italian excellence. For over 60 years the Gatti family has shown superlative dedication to producing what are well-known amongst socks experts as some of the finest socks in the world. All their socks are made in their factory in Paina di Giussano, Italy. This line keeps every aspect that denotes superior quality fine yarns, a perfect fit, easy care, and the most fashionable colors. 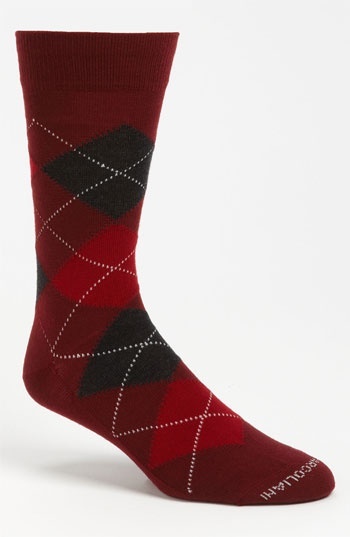 Marcoliani socks are the result of an almost extreme search for quality. Their production is based on the innovative interaction between craftsmanship and high-tech. The cuff is made with controlled tension so that socks can fit without being tight; the heel and tip are reinforced with a Nylon thread, while the leg length is the result of the careful study of proportions, so to ensure perfect wear ability. Meanwhile, the quality of Marcoliani socks comes from the choice of fine and superior yarns. Their fresh and light cotton is only Pima Cotton from Peru. Their wool, soft and very fine, is only Extrafine Merino Wool. And last, their fine Cashmere, sometimes mixed with silk, is the secret to light knits that are extremely soft and shiny. Truly elegance is made of tiny, refined details. Each season, Marcoliani socks offer innovative modes of appearance, techniques and colors that can fit altered styles and aspects of daily life, always with a touch of classy elegance. In men's fashion, where codes are stricter, Marcoliani socks define a specific style by adding charisma and value. Welcome to Utah Woolen Mills to select latest Marcoliani S/S 2015!